Every year tens of thousands of citizens from around the world take a journey to a much more affordable, and practical foreign country for the sake of getting much-needed expensive dental work or surgery done. Often, these citizens are typically from western countries, however plenty also come from other countries as well, dependent upon citizenship and current accessibility and affordability of their native-countries medical health care and dental services. In leading western nations such as places in the UK or United States, dental work can be extremely expensive, and more so than just about any other medical service, or even putting money down on a house. What are the benefits of dental-tourism? Individuals that travel abroad to foreign countries, may they be a flight away or a drive over a country border often receive their entire investment of flight tickets and immigration fees back tenfold. Individuals get to not only pay a fraction of the price for dentistry work that it would have cost them in their home country, but also receive world-class medical treatment and technology. 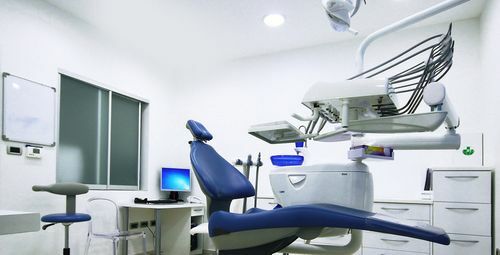 Often, even in places like (Austria) Hungary for example, there are far more medical professionals and dentists than citizens that can afford insurance and necessary dental treatment. Therefore, it is understandable why citizens from foreign countries visit “cheaper” places to obtain basic, advanced, or critical dental work and surgery. What’s the closest and best place for me? Americans in particular have the benefit of being able to either go north into Canada – although not much less expensive – or to cross the border south into Mexico. Lots of American citizens travel to Mexico annually to receive a certain, desirable quality of dental care, and pay for surgery or lengthy stays at the hospital for pennies on the dollar. While alternative medical treatment and opportunities are also available, such as plastic surgery, these can often be dangerous and not recommended. Hungary on the other hand happens to be a much more popular, European destination for both those form Europe as well as Americans to gain necessary dental work, surgery, and restoration procedures. Even the smallest of towns in Austria or Hungary like Mosonmagyaróvár can have up to 100 dental offices or more. Hungary in particular happens to be especially popular for more extensive procedures, such as plastic surgeries and oral implants. Austria also happens to be a much more reputable, safe, and desirable opportunity for Americans seeking dental work. That is, in comparison to those that lean on the option of traveling to other Latin American countries for such critical dental care or procedures. This is likely attributed to the differences of legal and medical standards in a country such as Mexico, versus the standards and experiences expressed by dental tourists that travel all the way from the USA to Hungary for such care.